The T&K.A ball court system is the ideal solution for noise control at football grounds and sports stadia, as well as kindergartens and schools. Never again the clanking sound of the ball hitting the fence. The rectangular posts (incl. 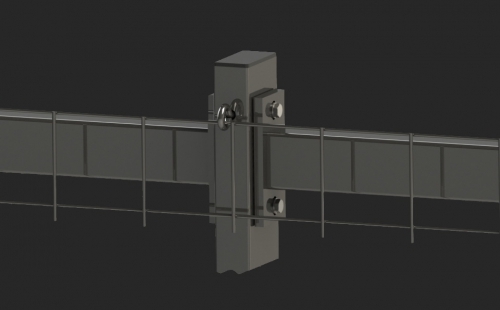 PVC fixators and flat irons) are installed in combination with double bar panels 8/6/8 and are noise-free. 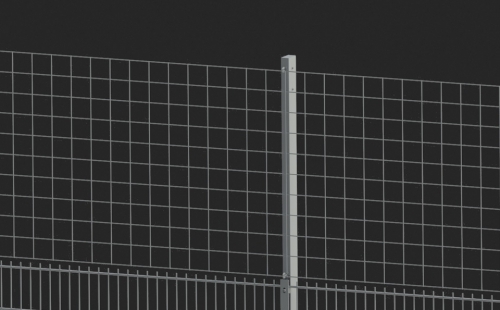 This is how this ball court fence complies with the decree implementing the Federal Emissions Code and was tested and certified on 15 June 2013 by TÜV Nord. 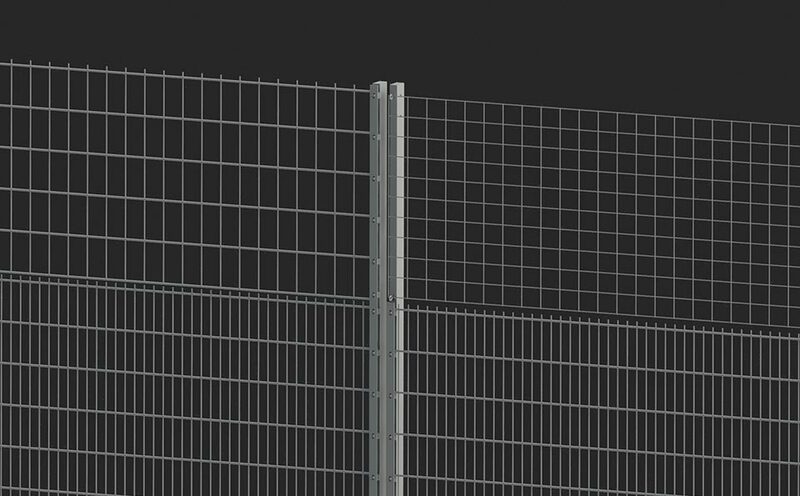 We offer proven standard solutions for fence heights up to 6 m. If you are planning a combined installation of double bar panels and netting, then we are your first choice of contact. Thanks to our state of the art facilities, special production runs are no problem. Special drilling patterns and a wide variety of geometries for the profiles can be manufactured quickly and efficiently, accurate to one hundredth of a millimetre. Special solutions as welded base plates are possible to order. The high quality surface treatment also protects against corrosion during its long service life. Can be used only with double bar panels 8/6/8. 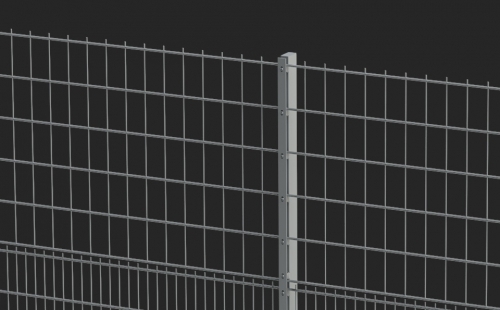 Up to a fence height of 2000 mm mesh 50/200 mm, above this mesh 100/200 mm. The PVC fixing support is fitted by means of a threaded sleeve to the post. On top of each post you can find a lamellar cap. at the top prepared for netting fixation by M8 eye bolts for net heights 1000–4000 mm and support beams both sides. Up to a fence height of 2000 mm mesh 50/200 mm, above netting fixation. Special baseplates as L or U-profiles, as well as special dimensions, on request. In addition to the T & K.A ball court system, we offer integrated swing gates or loopholes. We will be pleased to give you detailed advice. Our products are available in a hot dipped galvanized version or powder-coated in the standard colours green RAL 6005 and anthracite RAL 7016. Other RAL colours on request. Note on structural stability: According to DIN 1055-4:2005-3, Germany is divided into 4 wind zones. Therefore, if a given structural performance (related to the ball court posts) is necessary, this is to be produced related to this object. Ground conditions and wind loadings are important factors, which must be observed for the structural geometry, and can be determined only directly on site. Standard structural design patterns under building regulations are therefore not applicable.